If you’re about to enroll in Part A and Part B of Medicare, you may consider a Medicare Supplement plan in Tennessee to help fill in some of the gaps in coverage left by deductibles and copays. In this state, almost 80 percent of Medicare beneficiaries are at least 65 years old, and the rest qualify because of a disability. Your age, other health benefits, and your preferences for accessing medical care might influence your choice of a Medicare Supplement plan in Tennessee. We can help you compare a variety of Medicare Supplement plans with our online quotes. If you’d prefer to speak to a Medicare agent, you’re also welcome to call. You really should start to compare Medicare Supplement plans a few months before you plan to take Oringal Medicare’s Part A and Part B. For most folks, this is a few months before your 65th birthday; however, other people may delay their Part B because they have access to job-related health insurance. Some Medigap insurers will let you apply for a Medicare Supplement plan in advance, and you may want to get this out of the way. You can be sure you have your benefits in place when you turn 65 years old. The critical thing to know is that you get a Guaranteed Election Period that begins the month you turn 65 and lasts for only six months. At this time, you can enroll in any Medicare Supplement plan in Tennessee without health underwriting. At other times, you’re still welcome to apply for Medigap plans, but you could get higher rates or even get declined. You may also be entitled to other Guaranteed Enrollment Periods if you lose additional coverage or move away from a current plan. It’s worth speaking with a Medicare Specialist to understand your specifics. How are Rates Calculated for Medicare Supplement Plans in Tennessee? The company might base the rates on the age you are now, and they will also be likely to increase these Medigap rates as you get older. An issue-age policy means your rates are based on the age when you applied. In this case, the insurer doesn’t consider your age at all, but they offer the same premium based on health costs in your community. What Are The Best Medicare Supplement Plans in Tennessee? Plan F: Out of all of the Supplements, it has been the most popular choice. This is probably because it offers all the allowed benefits. Plan G: Has been increasing in popularity in recent years. It’s somewhat cheaper than Plan F and only doesn’t pay the Part B deductible. Right now, it’s common to find that the rates for Plan G are cheap enough to cover that deductible. Plan N: If you have a strict monthly budget, you might consider this option. It has some co-pays and won’t pay excess charges, but otherwise, it will give you broad benefits. We think these are the best Medicare Supplement plans because they offer the benefits that can keep you from high out-of-pocket costs. You can find a detailed outline of coverage online or ask a Medicare provider for one. Can You Transport Your Medicare Supplement plan from Tennessee To Other States? One of the primary reasons that people choose Medicare Supplement plans is because they don’t have to worry about networks. If you happen to travel outside of your local area, you can still access any provider that accepts Medicare. You also won’t have to call a primary doctor to get a referral to visit with a specialist. Some Medigap plans even cover urgent care that you need outside of the United States. Contact your insurer to tell them that you moved. Remember that premiums are likely to vary in different states or counties. Your insurer should be able to transfer your Medigap plan to your new hometown very easily. In the rare case that your current company can’t transfer your Medicare Supplement plan for some reason, you should be entitled to another Guaranteed Issue Period. The terms of this could depend upon your state’s rules. You will need to view personalized quotes and lists of providers to make a good decision about the best Medicare Supplement plan in Tennessee for yourself or somebody you care for. 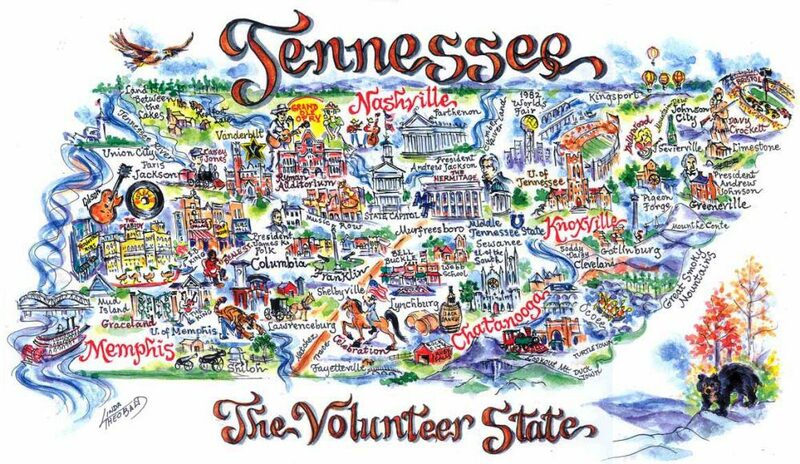 To begin, you can find “Tennessee” in the list of states here on this page. We can provide you with more information, an outline of coverage, and their reviews of your alternatives. If you have questions, make use of the toll-free number to talk to an agent. We hope we can help Medicare recipients find the best Medicare Supplement plan that meets their budget and needs. Resources For Members of Medicare Supplement Plans In Tennessee? Depending upon your income, you might qualify for assistance with Medicare premiums and even out-of-pocket costs. You can make an appointment with the Tennessee Commission on Aging and Disability to find out if you qualify for a variety of state and federal programs.